Earlier this month I had the opportunity to road trip to the Ottawa Valley with my mother, the main purpose of which to find some of the small towns and villages founded by our ancestors in the early 1800s. 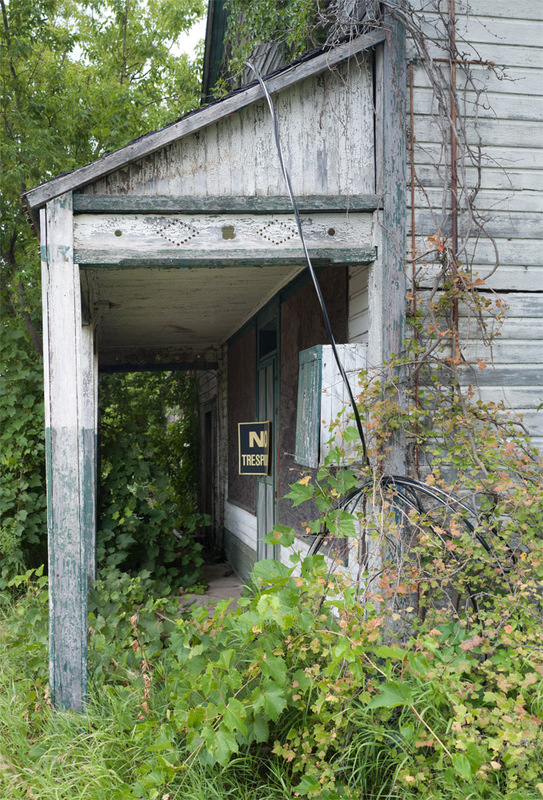 The Ottawa Valley is quite beautiful, and well suited to a road trip in a Jeep; we found a number of reasonably spooky logging trails and dead-end roads, abandoned buildings, all the hallmarks of a region once prospering on resource acquisition, and now largely sustained on a tourist industry. Finding the graves of our ancestors was not only unexpected, but quite emotional. We have scattered records of the family tree, many incomplete (and now more complete), but finding names written in stone that once only existed on paper was a completely new experience, it seemed to “make real” the mark our family has made on this landscape and its history. The trip also gave me the opportunity to explore some of the ghost towns in the region, specifically here, Balaclava, a mill about an hour’s south from Pembroke. 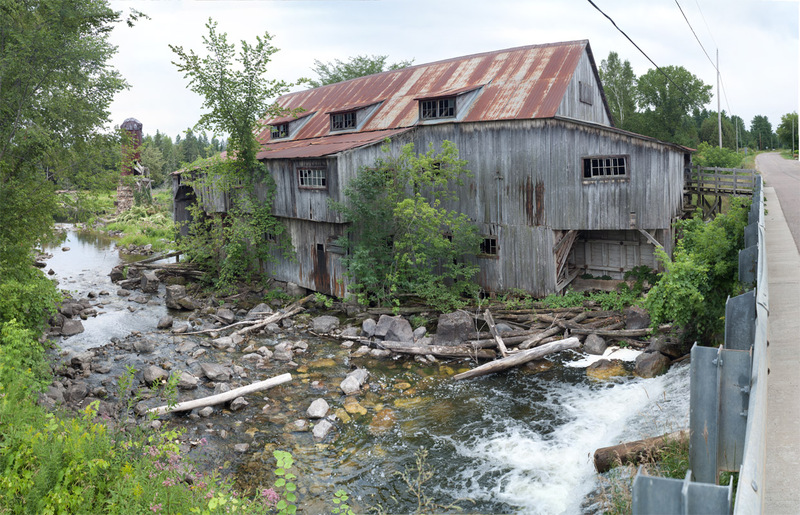 The mill has been long abandoned, and some research suggested at one point it was to be preserved as a historic monument, but money and interest fettered away and it sits mostly forgotten. The small town surrounding it, comprised of a logging road and maybe a half dozen modern buildings, was very quiet, marked only by a small recreation area on the river aimed at fishermen. The only denizen we met was a very happy dog that wandered the town, and I will confess I didn’t get a photo of him because I was too worried about a lone dog out in the middle of the road. I did, however, get a chance to put into practice some of the composite shooting techniques I’ve developed, and while these were somewhat hastily shot and far from perfect, the result does function very well. The two larger images are composed of 40-50 images each, and clock in at around “400 megapixels” if you were to measure them as such. As jpegs at full resolution are over 20 megs, I’ve just included some details here (after the cut). The images themselves capture the mill itself, an out building across the street (with some modern wiring for no visible reason), and the interior of the mill. I don’t know who put the picnic table inside – or how they even got it in there – but it’s definitely “more” contemporary than the mill itself, which dates back to the late 1800s. Details and more rambling follow below.